Manufacturer and Supplier of Online Continuous Stack Emission Monitoring System. Our product range also comprises of Sewage Treatment Plants, Air Pollution Control Devices and Industrial Chemicals. To meet to the present needs and demands of clients, we are highly affianced in providing Online Emission Monitoring Systems to widespread client base across the country. These products are highly appreciated amongst clients for its optimal functionality and reliability. We offer these products to respected clients giving preference to their specific needs and demands. 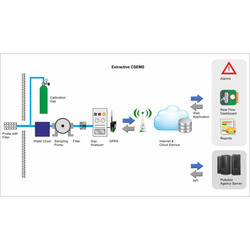 Looking for “Online Continuous Stack Emission Monitoring System”?